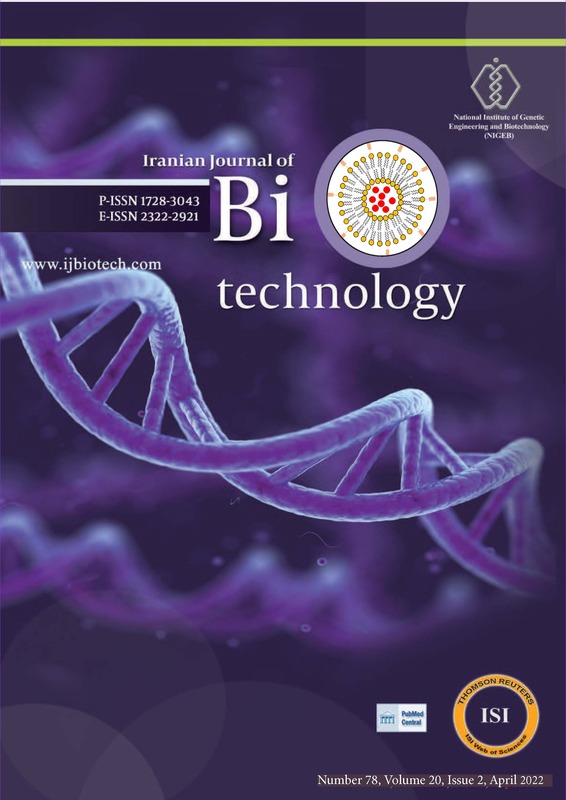 1Department of Plant Molecular Biotechnology, National Institute of Genetic Engineering and Biotechnology, Tehran, Iran. 2Department of Molecular Medicine, National Institute of Genetic Engineering and Biotechnology, Tehran, Iran. 3School of Advanced Technologies of Medical Sciences, Shahid Beheshti University of Medical Science, Tehran, Iran. 4Department of Hematology, Faculty of Medical Sciences, Tarbiat Modares University, 14115-331, Tehran, Iran. 5Department of Stem Cell Biology, Stem Cell Technology Research Center, Tehran, Iran. Background: According to the epidemiological studies, consuming olive products can decrease the incidence of the different types of cancers mostly due to the high anti-oxidant properties of their polyphenolic compounds. Objectives: To evaluate the anti-oxidant and anti-proliferative potentials of the olive fruits total polyphenols on the gastric adenocarcinoma MKN45 cells in comparison to the normal Hu02 cells. Materials and Methods: The total phenolic content of the olive fruits and radical scavenging activity were determined by Folin and 2,2-diphenyl-1-picrylhydrazyl (DPPH) tests respectively. MTT assay was performed for the evaluation of the cell viability. Intracellular reactive oxygen species (ROS) level was measured using DCFH-DA. Statistical analysis was performed using SPSS 16 statistical software. Results: Treatment of the MKN45 cells with the phenolic compounds extracted from olive fruits decreased growth and viability of the cells in a dose- and time-dependent manner. In addition, treatment of the MKN45 cells with a combination of the phenolic compounds extracts and cytarabine further decreased cell compared to monotherapy of the cells with each compound alone. Mechanistically, we showed that the anti-cancer effects of the olive polyphenols in the MKN45 cells are mediated through depletion of ROS. Similarly, polyphenolic extracts were found to decrease ROS level in the normal cells at the concentrations of 500 and 1000 μg.mL-1 and short treatment times (6 h), but the viability of these cells did not significantly change. At high concentrations (2000 μg.mL-1) of the phenolic extracts or at longer times of incubation (12 h), however, both ROS levels and the viability of the cells were significantly decreased in the normal cells. Conclusions: The olive fruits polyphenolic extract modulates ROS levels and selectively targets cancerous cells at low concentrations. Also, the effects of cytarabine could be potentiated by the olive fruits polyphenols. Thus, for a combined protocol of cancer cell therapy, olive fruit polyphenolic compound could be proposed as a proper candidate.